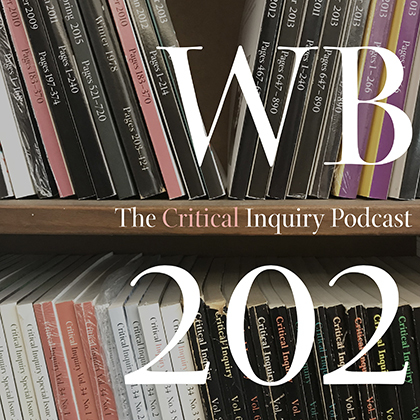 Critical Inquiry presents WB202: The Critical Inquiry Podcast! Critical Inquiry is devoted to the best critical thought in the arts and humanities. WB202 expands the mission of the journal with a new platform for emerging and established scholars, critics, and artists to discuss the critical concerns of the past, present, and future. Editor W. J. T. Mitchell describes the origins of the journal. Executive Editor Patrick Jagoda interviews Alexander Galloway. Coeditor Lauren Berlant talks to participants of "The Soup Is On." An Interview with Adrienne Brown and Adom Getachew. Part 1 of an interview Richard Neer. Part 2 of an interview Richard Neer. On life and her work.